Click on an image for product details, part locator, electrical specifications and distributor information. 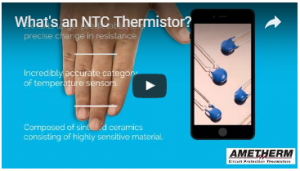 I discovered Ametherm 2 years ago when I needed to replace multiple NTC thermistors in our equipment. They provide excellent customer support and quality parts. I highly recommend their products. At Ametherm, we’re solution driven. 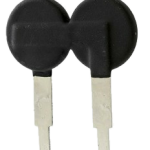 Our number one priority is to help you solve your inrush current or temperature sensing challenges with cost effective and time saving solutions. We proudly manufacture our products in Carson City, Nevada – USA. Need a custom design? 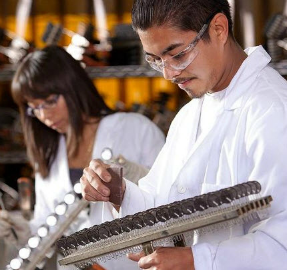 Our engineers are happy to help you with difficult applications. 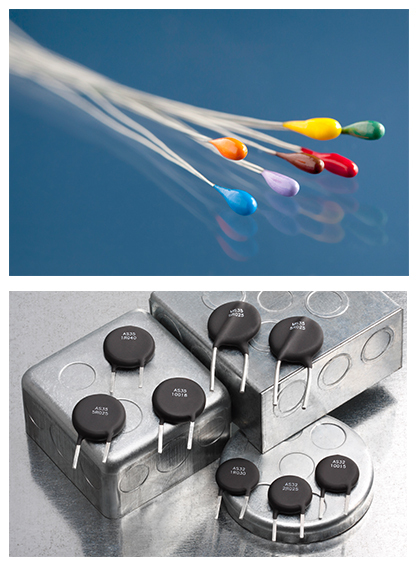 Inrush current limiting and temperature sensing solutions, tips and tricks. We certify all part numbers that we supply to our customers are compliant to Reach 174 substances listed as substance of high concern as outlined in Annex IV SUHC of the Reach regulation (EC no 1907/2006) updated 2016. All of Ametherm part numbers are ROHS 204/65/EU and ROHS II compliant with exception of 7a. Ametherm both respects and obeys the Dodd-frank law of 3TG by using authorized tin smelters or refiners. Learn more about Quality and Certifications.